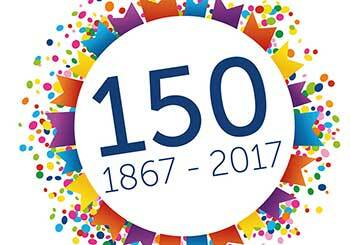 Friday 2 June 2017 marks the 150th anniversary of the start of Scripture Union (SU) ministry and many of the 130+ Movements around the world will be celebrating this special day with special activities as part of the Global Day of Prayer. For SU England and Wales, where SU began, staff, volunteers and supporters will gather on 2 June for a day of prayer and celebration at St Mark’s Church in Kennington. During the afternoon participants will visit sites around London for prayer and praise including a prayer walk in Islington where the ministry began. SU is a global charity known for discipling children and youth, and helping people of all ages meet God through the Bible and prayer. From a parlour room in Islington, London where a young man, Josiah Spiers, held a meeting for 15 children to help them understand the Bible in lively and creative ways, SU has now grown into an international movement ministering in more than 120 countries. Josiah believed that children could have a living and vibrant relationship with God and could understand the Bible if presented in a way suited to them. On 2 June 1867 he held his first children’s meeting in a friend’s home. The meetings grew so fast they soon had to use a local church schoolroom. Together with a committee of volunteers and supporters Josiah called the ministry CSSM, Children’s Special Service Mission, a movement that would spread across the world and one day be called ‘Scripture Union’ with a special emphasis on Bible reading. Around the world SU Movements have begun marking the occasion in all kinds of ways and this will continue throughout the year. Creative celebrations include ‘selfie’ competitions in Scotland with young people dressing up as Josiah Spiers in beards and moustaches, to dozens of cakes being baked for supporters to celebrate the birthday with colleagues and family around New South Wales. In Slovakia a ‘God is Love’ colouring resource has been launched commemorating the text in the sand that launched the first beach mission. In Nigeria, birthday commemorative T-shirts are being produced for their days of celebration and India has produced special badges for children and young people. Other Movements are doing 150 days of prayer and blog testimonies. On 31 July 31, SU ministry teams are being encouraged to take photos to capture a ‘Day in the Life’ of Scripture Union all across the world which will be collated to form a global picture of what SU ministry looks like in its 150th year. From that small beginning in 1867, Scripture Union remains committed to fulfilling the same mission in over 120 countries through indigenous leadership and specialist programs and ministries, carefully designed to fit the context of each country and culture. The hope is that as many supporters and friends as possible will join in the special year of celebration. For more information go to www.scriptureunion.global.